13 people were shot in Chicago last night. 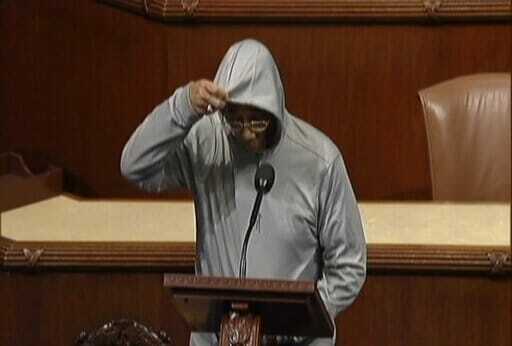 The assailants wore hoodies in one of the attacks and were from Bobby Rush’s district. At least two people were killed and 11 others wounded in violence across Chicago overnight, most of the victims from just two shootings on the West and South sides, according to police. Suspects were being questioned in one of the shootings, the killing of a man near his home on the Far South Side, officials said. One man was killed and five others were wounded. The victims ranged in age from 16 to 24. The gunmen fled in an SUV and police continued searching for them this morning. About four hours later, four people were standing in a parking lot in the 4100 block of West Roosevelt Road when a black car drove up and gunfire rang out. A 29-year-old man was shot in the arm, a second man the same age was shot in the leg, a 27-year-old man was shot in the leg and a 36-year-old man was shot in the thigh, police said. They were all taken by a friend to Mount Sinai Hospital, police said.